Ukraine: An Insight Into Animal Welfare Issues Being Undertaken. We are getting more visitors to the site from the Ukraine – so we welcome them all. 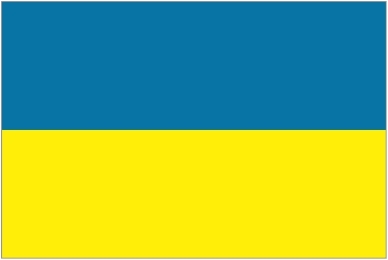 The following are a few links specifically aimed at animal welfare issues in the Ukraine. Please browse the links and take a positive look at all the work being undertaken to help animals and their welfare. We are sure our visitor friends will be familiar with most of these; but they may also help them and other visitors to the site to find out more about the work being done in the Ukraine. We will give links to sites and a very short copy of some of the words being used by the site(s). If this kind of thing proves popular with visitors, we may cover animal welfare issues in other nations in a similar vain. Our ‘Clustrmap’ (global visitor map on the left side) can be used by us to select which nations to cover. SAV. For the past 20 years, Naturewatch Foundation has been actively developing projects in Ukraine, working with municipalities to implement humane and sustainable stray dog population management schemes, following the recommendations of the World Organisation for Animal Health (OiE). Evpatoria / Vienna, 5 April 2013 FOUR PAWS continues its successful animal welfare initiative in Ukraine: Following the agreement between FOUR PAWS and the City Hall of Evpatoria, a new stray animal care project was launched in the Ukrainian town on 26 March 2013, bringing hope and salvation to many thousands of stray animals. For the last 15 years, Naturewatch Foundation has been actively developing projects throughout Eastern Europe, working with municipalities and state veterinary services to implement humane and sustainable stray dog population management schemes, following the recommendations of the World Organisation for Animal Health (OiE). In recent years there have been several cases involving Member State export credit agencies providing export credit guarantees for exports to Ukraine of farm animal housing equipment that does not meet EU standards. Under the EU-Ukraine Association Agreement, Ukraine has to approximate its animal welfare legislation to that of the EU. Animal products from Ukraine, e.g. poultry meat and egg products, are beginning to enter the EU market. The International Fund for Animal Welfare (IFAW) has pledged to help a shelter called Pif in the devastated city of Donetsk. They are a large-scale shelter taking in dogs from many areas impacted by the war. Most recently, they took in 19 dogs from Kramatorsk as citizens fled. The Animal Protection UA is a humane society founded on the belief that animals are entitled to kind and respectful treatment at the hands of humans and must be protected under the law. To provide aid for some of the hundreds of thousands of unwanted animals given to shelters in the Ukraine every year through donations, petitions, and store purchases. Civility of a country is determined by its attitude towards children, elderly people and animals. One cannot but agree with this statement. Unfortunately, when it comes to animals, Ukraine is far from being an example to follow. Thus, nowadays there is an urgent need to improve legislation on the proper pet care, identification and registration of animals. Kyiv Society for the Protection of Animals (KSPA, or KCSPA) – is a nonprofit, non-government organization that specializes in the protection of animals, mainly targeting the city of Kyiv. Maksym Ryl’skiy, a distinguished poet, took part in its founding in 1960. The activity of the Society is regulated by the Statute and directed by the President. The Society advocates humanism towards all living creatures and takes a firm, uncompromising stand against the problem of homeless animals. We do not accept half measures of the authorized State institutions and their individual officials; we insist on an exhaustive and final solution to the problem of stray animals through modern and humane means. The Society is not supported by any government subsidies*); it is financed solely by membership fees and voluntary donations of citizens.